This year we started our very own backyard vegetable garden. It’s been almost two months now and our garden has been giving and giving. 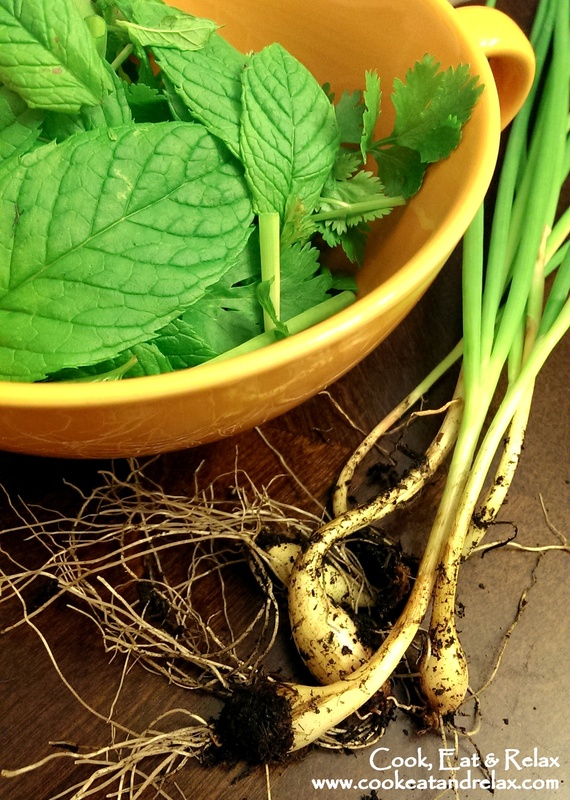 From a ton of herbs to fresh greens. 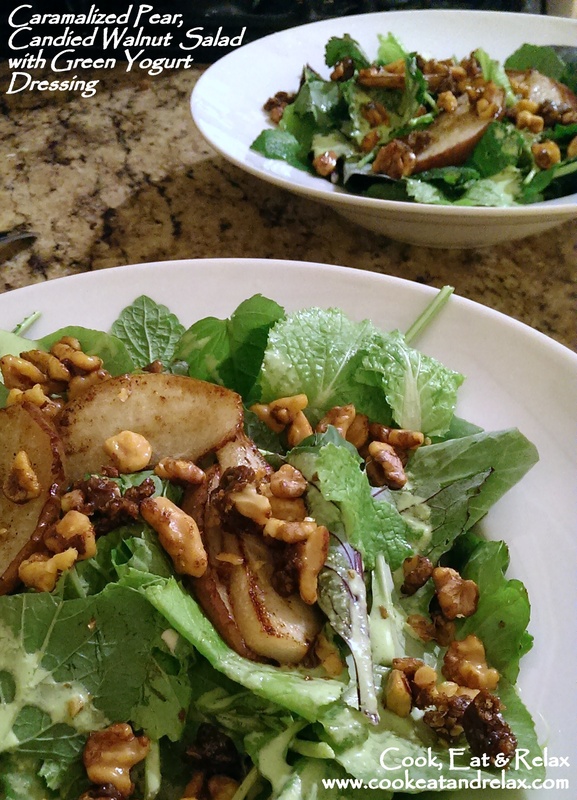 Tonight I decided to make dinner with herbs and salad greens from our garden and added some pears and walnuts to fancy it up. Here’s to a wonderful summer and many more such fresh salads made from scratch! First prepare the salad dressing. Add all the ingredients under the salad dressing ingredients list into a food processor and make sure that all the ingredients are combined together. Refrigerate the dressing for upto a week. Mix the walnuts with the sugar, pepper, olive oil and salt. Roast it in a pan till the walnuts are slightly roasted and the sugar has melted. Next heat the butter in a non-stick pan. Once the butter is browned add the sliced pears. Caramalize the pears by turning them over once they have slightly browned. Now assemble the salad. Add the salad greens to a plate. Next add the salad dressing. 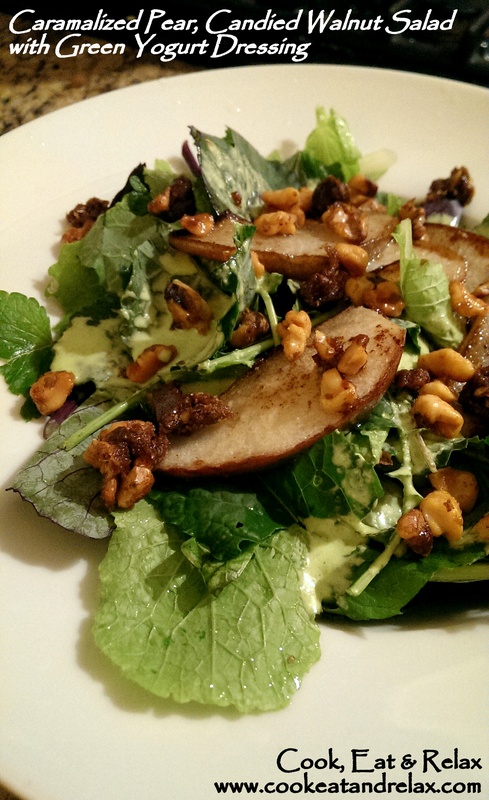 Place the caramalized pear on the salad greens and top it with the candied walnuts. Thank you for reading my post and hopefully this is me restarting my blogging once again! It’s been a long time since I posted to my blog. No excuses, I was just being lazy and convincing myself that work, new home and the two dogs are keeping me busy. Today is a special day, Amit completed his first 50 mile bike ride in Little Rock, Arkansas and my brother adopted a second dog… So today is better than any other day to restart blogging. And I wanted to make something special to celebrate Amit completing his 50 miler. I had some figs at home, which we had to finish soon since they were getting a little too ripe. 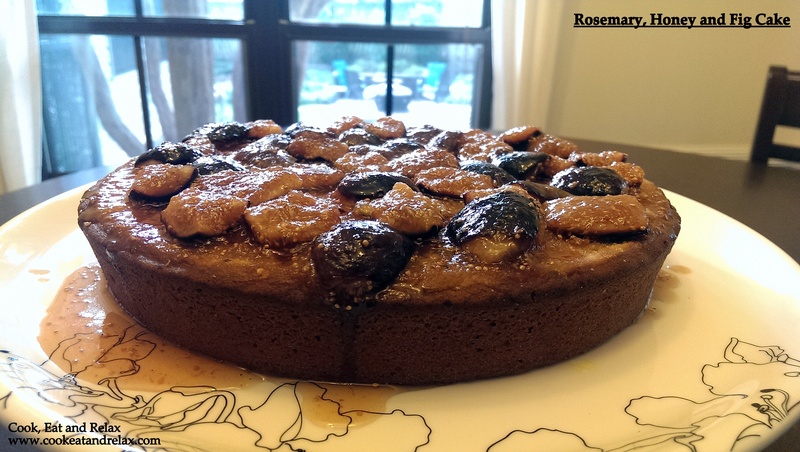 So while searching for recipes with figs and given that Amit has a sweet tooth, I chanced upon this recipe at http://www.seriouseats.com/recipes/2012/07/rosemary-honey-and-fig-cake-recipe.html. It looked really interesting and yummy so I decided to try it with just a couple of modifications since I did not have orange zest, I used lemon zest and orange extract instead of orange zest. 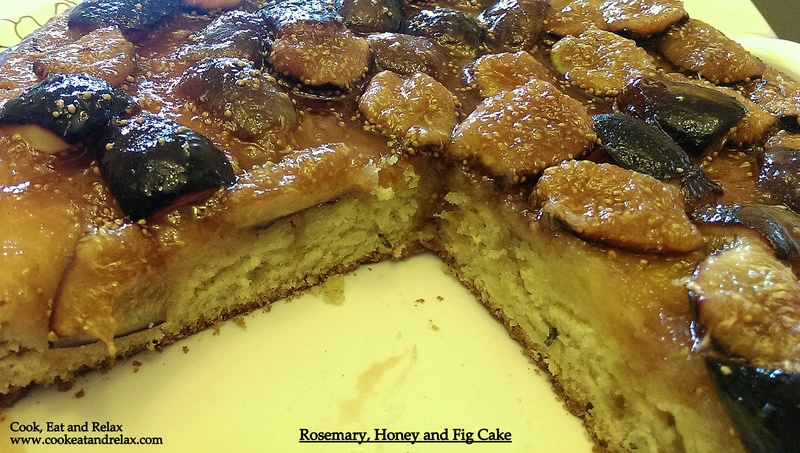 So without any further ado, let’s dive into the rosemary, honey and fig cake recipe. It’s easy to make and takes about 20 mins of prep time and 40 – 60 mins of baking time. Adjust oven rack to middle position and preheat oven to 350°F. Coat 9-inch round pan with cooking spray. In medium bowl, whisk together flour, baking powder, baking soda, and salt; set aside. Chop the rosemary and mix it well with the lemon zest and sugar using a fork ensuring that the three ingredients are completely mixed. In large bowl, beat butter, oil, orange extract and rosemary-lemon sugar on medium speed until light, about 3 minutes. Add eggs, one at a time, beating well after each addition. Add honey and beat just until incorporated. Scrape batter into prepared pan. 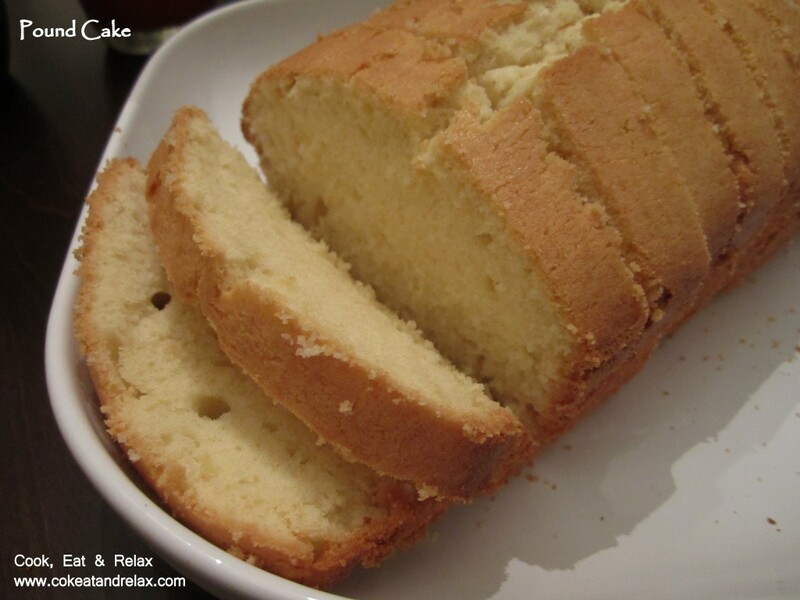 Bake until cake tester inserted in cake comes out clean, 40 to 45 minutes, rotating cake halfway through baking. 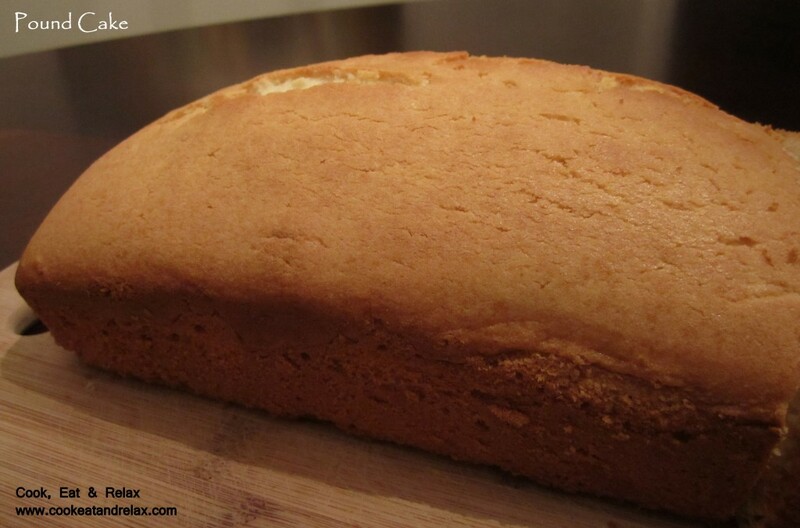 Transfer cake to cooling rack set inside baking sheet and cool in pan 10 minutes. With a serrated knife, slice about 1/8 inch off top of cake. Spoon figs and any released juices on top of cake. I also added about 3 tbsp of orange juice to the cake to make it nice and moist and to add just a hint of tanginess to the cake. 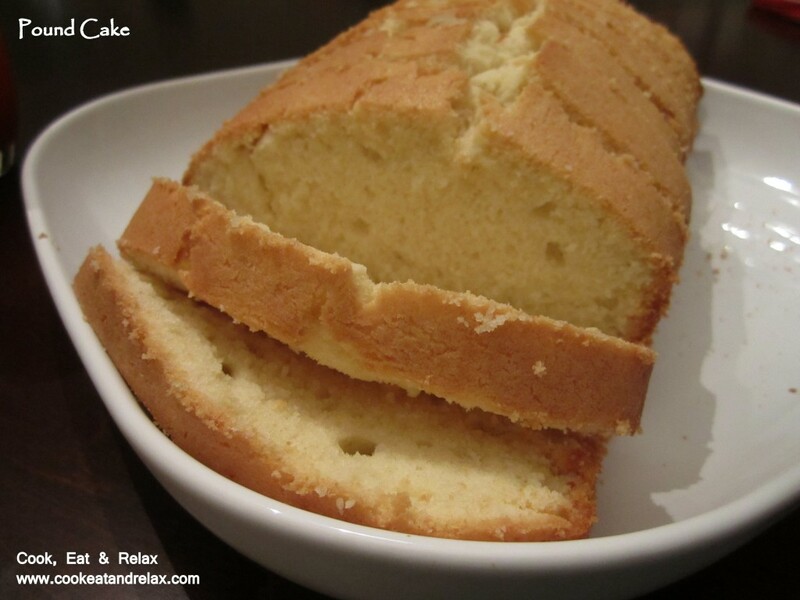 Thanks for reading… Hope you enjoy baking and eating this cake as much as we did! 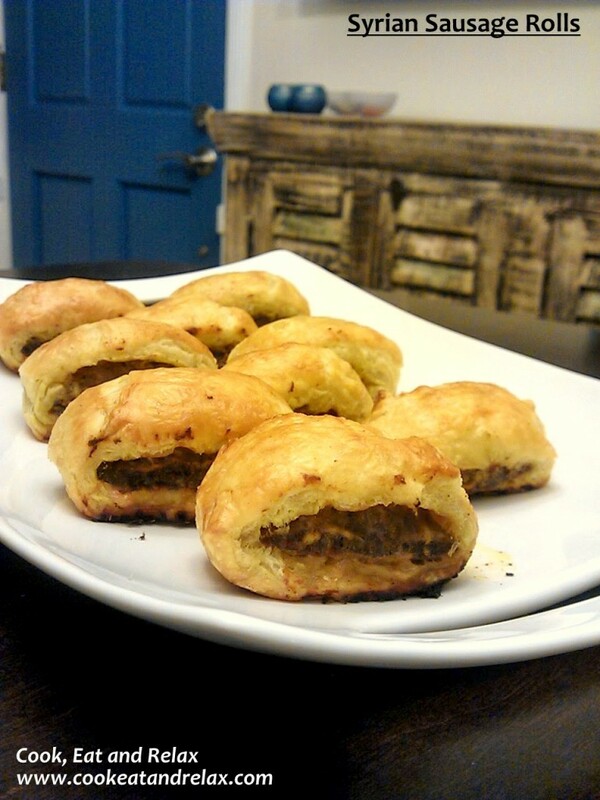 Lamb and Puff pastry: Picture Perfect!!! Well it’s about a year since we moved into our first home and we are still getting done with our DIY projects and it has been a blast! We did take some rather long breaks along the way since we were experiencing DIY exhaustion :). But now most of the very big projects are done and only the smaller finishing touches and some painting is left (for now)… So I get some time to actually contribute to my blog once again. Well this doesn’t mean that I wasn’t cooking or baking at all the last one year. 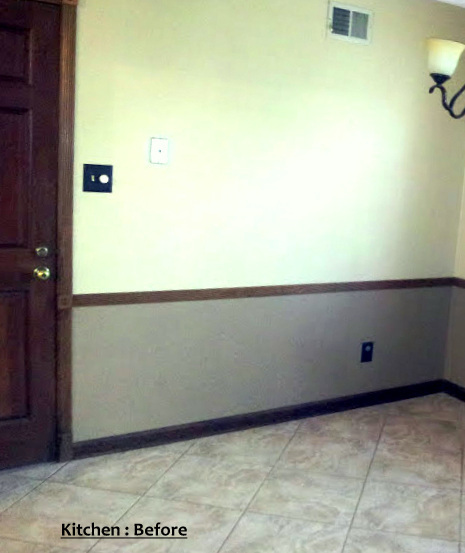 Just that the time to make something new and blog about it was greatly reduced thanks to all the DIY projects we had going around the house. I did make a couple of changes to the recipe (just to add some more spicy kick to the rolls). You get about 20 pieces of the sausage rolls once all is said and done and it is very filling because it’s a pound of lamb! From start to finish it took about 1 hr and 10 mins but only 10-15 mins of hand on time. The rest of the time either the puff pastry was thawing or the rolls were baking in the oven. 1 lb (450 grams) lean ground lamb. 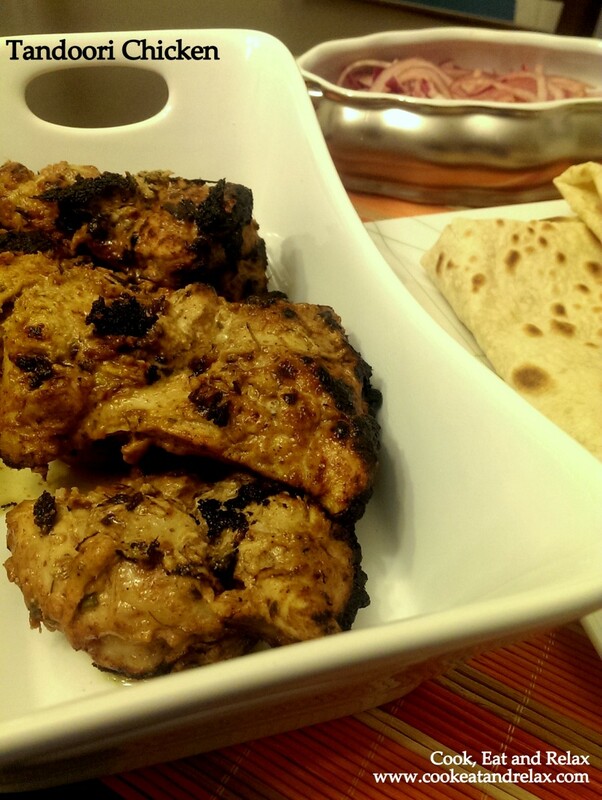 Mix all the ingredients with the lamb and make sure that the lamb and spices a mixed together thoroughly. On a lightly floured surface roll out the puff pastry to a long rectangle about 12 to 14 inches long and about 8 inches wide. Take half the spiced lamb and form a sausage roll and place about 1/3 rd of the way from one of the long edges of the puff pastry. Then fold the puff pastry over the lamb mixture and form a roll. Repeat with the other puff pastry and other half of the lamb. Cut the roll into about 2 inches pieces and place on the lightly greased baking sheet. Place the rolls on the greased baking sheet about an inch apart. Brush the top of the rolls with egg white (mix 1 tablespoon of egg white with 1 tablespoon of water) and place in the 400 F pre-heated oven. The rolls should be ready in about 15 mins. I made sure that the top of the pastry was a golden brown before taking it out of the oven. We loved these rolls and I think these are going to be part of my must make party appetizer list. They are also very filling. 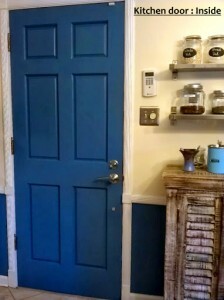 And yes getting the picture right in front of my blue kitchen door was totally intentional! 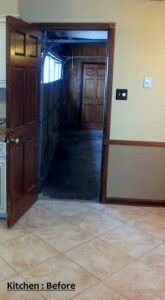 Here are some pics of out kitchen before and after. 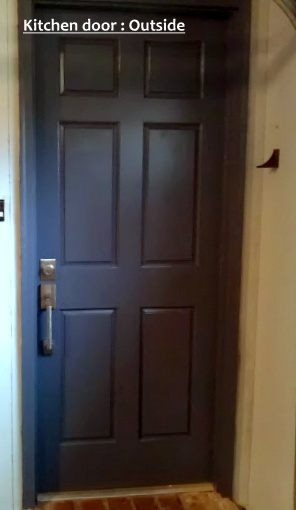 We went from a beige and brown kitchen to a blue and sand colored kitchen with an awesome blue door (inside) and a dark gray (outside). Why the different colors you ask, well cos the garage is a gray and red color (yes it went from boring brown to red and gray (more on that some other time)! 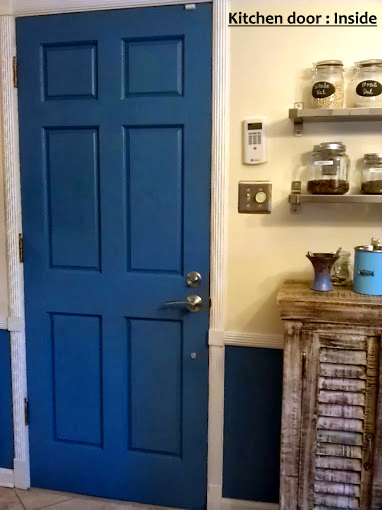 In fact we loved the blue so much that I am currently prepping my pantry door to convert it from boring brown to this very blue. Now if only I could get done with installing the back-splash as well then our kitchen transformation would be complete! Thanks for reading my post and listening to my ramblings. I really do appreciate it :)… And do let me know if you make these rolls and whether you liked it as much as we did! 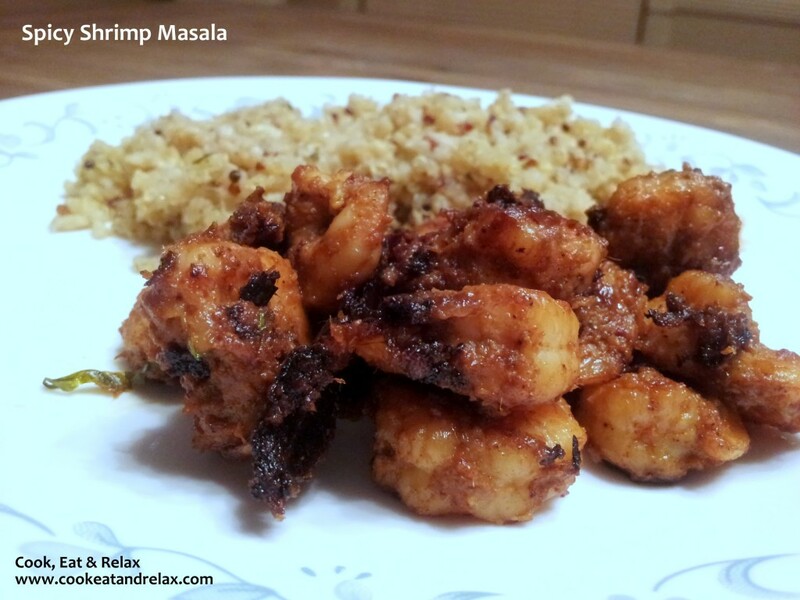 How about some Spicy, Tangy & Sweet Shrimp!!! Been a while since I blogged and I think I should restart my blogging efforts. I have a couple of awesome recipes that I seem to have kind of forgotten since I was lazy and did not blog about it. So hopefully this post will revive my blogging efforts. In fact I have decided that I am going to allocate some time every week for my blog. The entire recipe from start to finish took about an hour and I made about two batches for the dinner and refrigerated the rest of the shrimp to make some shrimp biryani for the next day. Recipe to follow. Dry roast the whole spices listed under ‘For the masala till the spices aromas are released. Once cool, grind the whole spices with the red chili powder and turmeric. I use this spice mix when I need a homemade garam masala for a dry chicken, paneer of shrimp dish. Fry the onions in some oil till the onion is lightly browned. 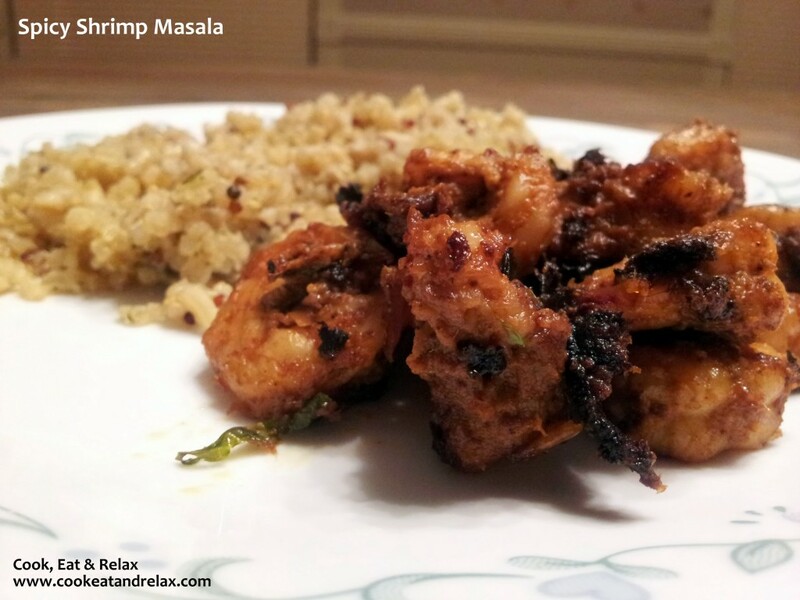 Clean and dry the shrimp completely and make sure that it is completely dry before adding the marinade ingredients including the fried onions. Marinate this for about half hour. Next heat a non stick pan with some oil and add the marinated shrimp in a single layer. Flip the shrimp over once it is browned on one side. 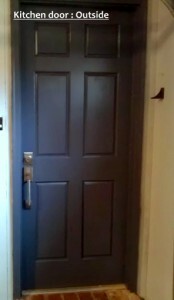 It takes about 5-7 mins to brown on a single side. I served the shrimp with some quinoa and brown rice blend. 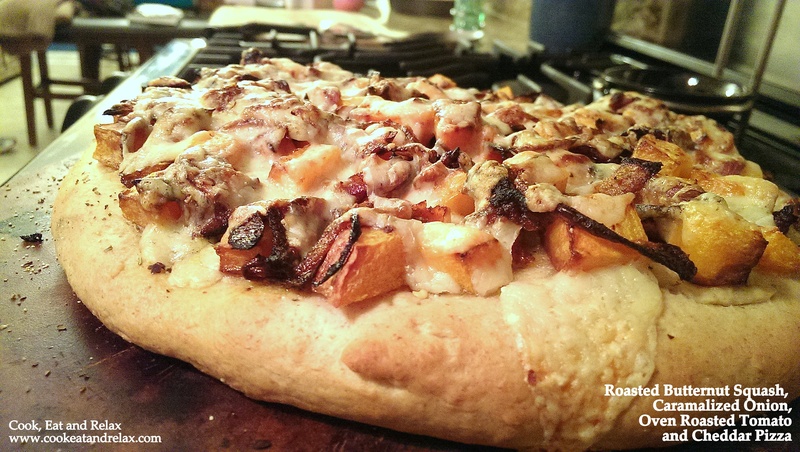 Hope you enjoy the recipe as much as we did. 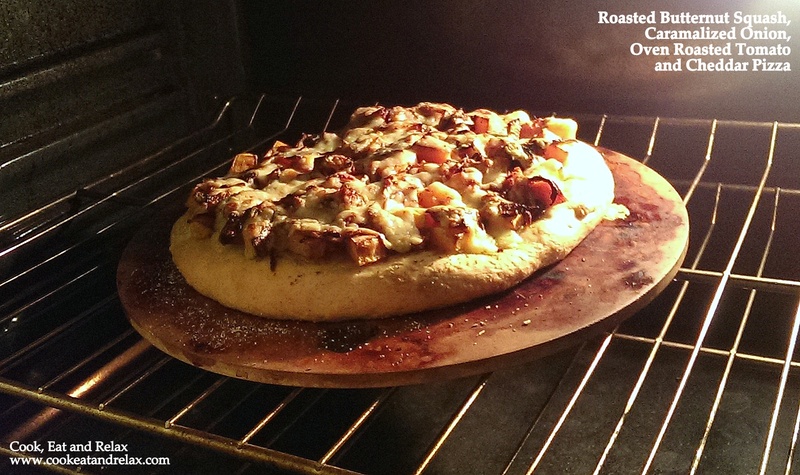 I just had to blog about it lest I forget the recipe. Thanks for reading my blog. How about some fresh baked muffins for breakfast! Who doesn’t love the smell of fresh baking at home! Well I doubt there are very many out there who don’t love it… And imagine the baking smell at home first thing in the morning! 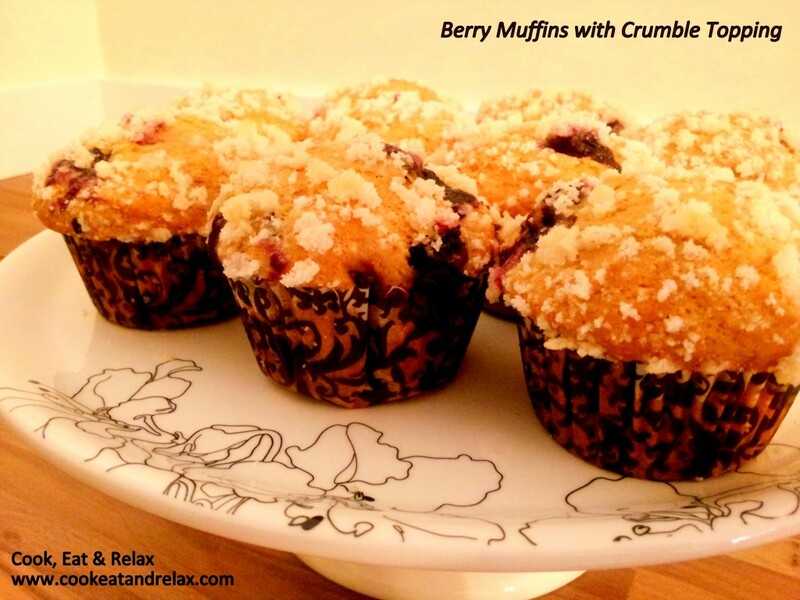 These are excellent as breakfast muffins and you can choose what berries to put in depending on what you have at hand. I had some fresh blueberries that I had bought at the Germantown Farmer’s Market on Thursday and some raspberries from the supermarket. So that’s what went into these muffins. And yes I know I have been missing from my blog for ages now. But the new home and setting it up took up quite a bit of our time. 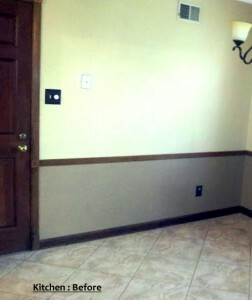 Now we are done with almost all the remodeling and have at last kind of settled down in to a routine. So it’s back to blogging! 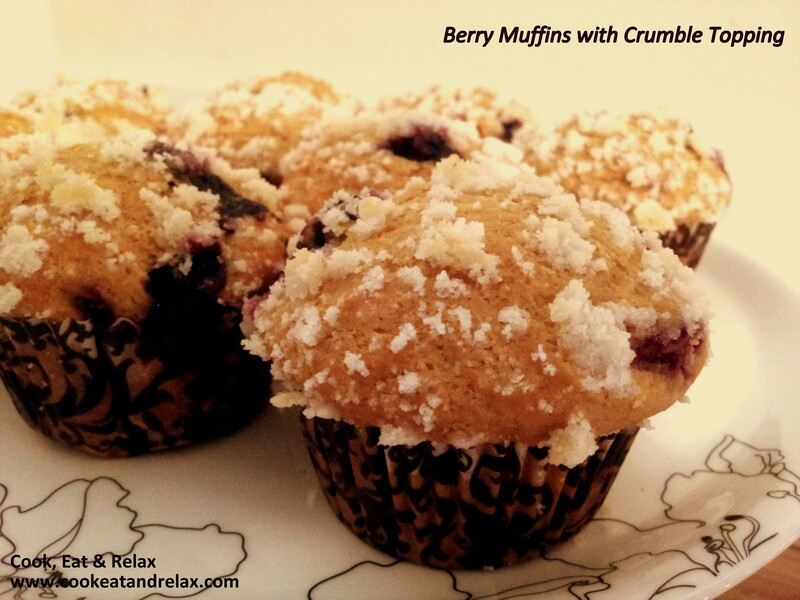 So let’s restart the adventures in the kitchen with some berry muffins. This recipe makes 12 muffins. Preheat the oven to 350F and grease the bottom of a muffin pan. You could also use cupcake wrappers instead of greasing the bottom of the muffin pan. In a large bowl sift together the dry ingredients (listed from 1 to 4 in the ingredients list). Next lightly beat the eggs and add the molasses, milk and oil to the eggs and mix together. Now add the wet ingredients to the dry ingredients and mix till all the ingredients are combined. At the very end add the berries and mix the berries into the flour mixture in a few turns of the spatula.Do not mix too much else the berries will start breaking and oozing out their juices. Now transfer the mixture to the muffin pan. Stir the 2 tbsp of sugar and all purpose flour together and crumble in the butter with your hands. You should get a mixture which looks like coarse sand. Now add this crumble mixture to the top of the muffins and transfer the muffin pan into the preheated oven. Bake for 20-25 mins and remember to cool the muffins on a wire rack if you do not use the cupcake wrappers. 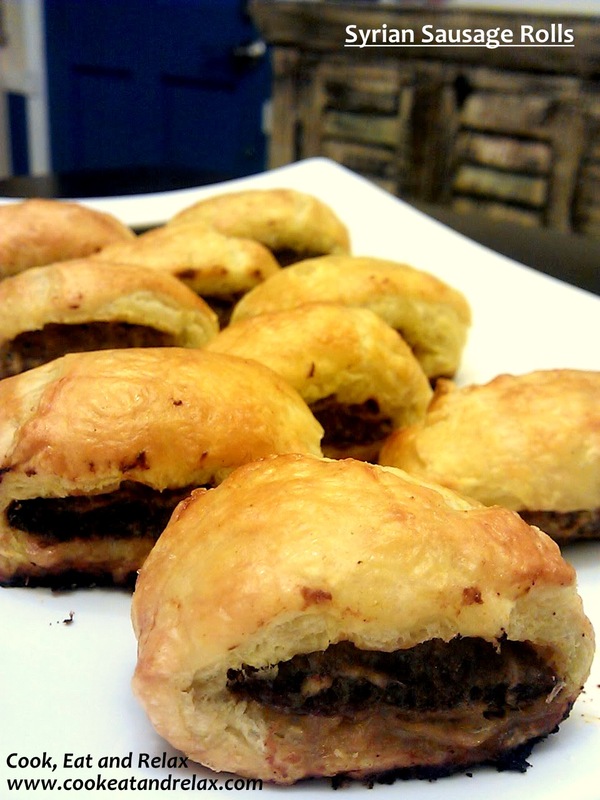 You can make healthier version of the muffins by using a mixture of all purpose flour and whole grain flour. Hope you enjoy these muffins as much as we did. We loved it and it has been our breakfast and snack with tea for the last couple of days. Cheers to an awesome weekend when the weather had been absolutely beautiful! I doubt there are many chocolate non-lovers out there and even if there are, I doubt there are many who can resist a delicious and perfectly textured brownie. I love brownies and if there is another person who is blindly in love with them, it has to be Amit. So attempting to bake brownies is a tall order to reach, cos I know Amit is going to be judging it against the best he has had. So somehow I never actually tried to bake these before. But this week since he flew all the way from Memphis to be with me in Tempe for a week, I decided that I will attempt baking brownies at home. Thankfully the attempt was a complete success and it takes about 15 mins to prepare the dough and about 25-30 mins to bake the brownies. I followed the recipe from the King Arthur Flour website. The recipe has got hundreds of excellent reviews. 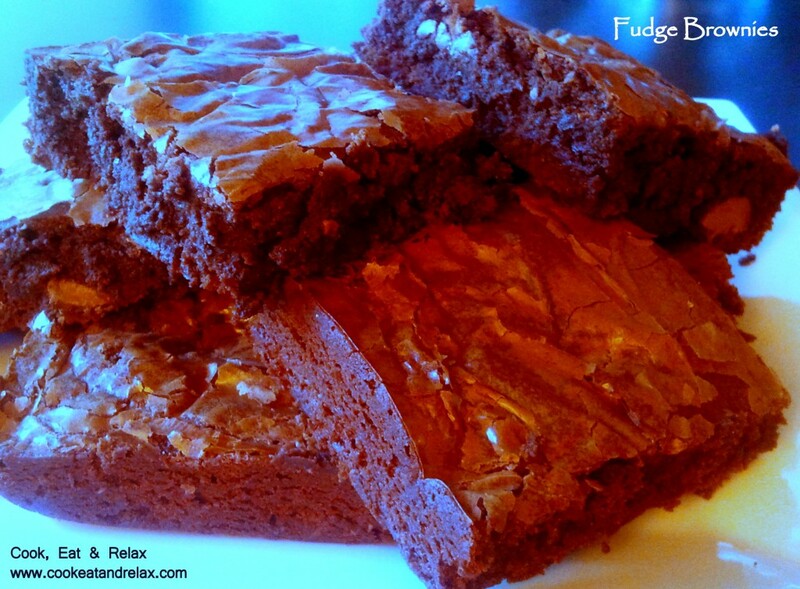 The original recipe can be found at the link http://www.kingarthurflour.com/recipes/fudge-brownies-recipe. Beat the eggs, baking powder, salt, espresso powder, cocoa and vanilla essence till smooth. Next melt the butter in a microwaveable bowl. Now add the sugar to the bowl and continue to heat the butter sugar mixture till most of the sugar has melted. Now add this mixture to the cocoa mixture and beat till it forms a smooth mixture. Now add the flour to the mixture and mix till it forms a smooth batter. Add the chocolate chips and mix it together till the chips are evenly distributed. Now spoon the batter into a lightly greased 8″ x 8″ square pan. 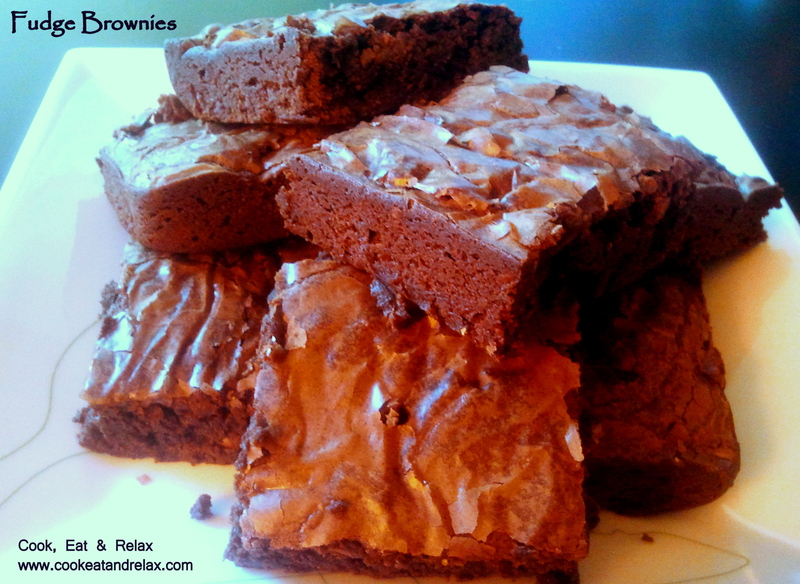 Bake the brownies in the oven for 25-30 mins or till a cake tester comes out clean in the center of the pan. Another very late daring cooks challenge. I am just glad I managed to complete the challenge! And this is so good. It’s an awesome dessert and the method of cooking makes the whole process so very easy. You just put the marinade and the ingredients together and put it into the parchment paper and transfer it to a hot oven. And after about 20-30 mins you get the most delicious dish. 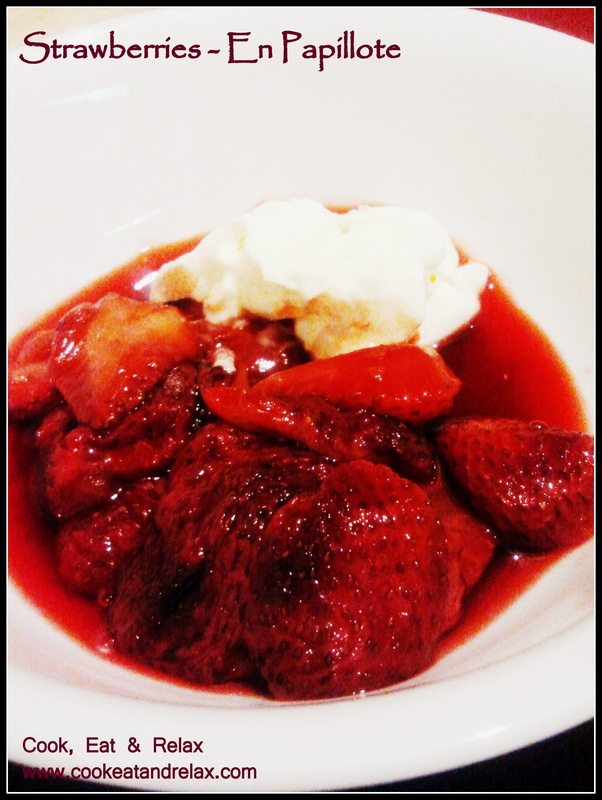 Just complement the fruits with some ice cream or sour cream or whipped cream and you have a very easy dessert. And it’s delicious too!!! This method of cooking can also be used to cook vegetables, seafood or chicken. It has to a ingredient which will not take too long to cook. As the parchment cannot be in the oven for too long at very high temperatures. 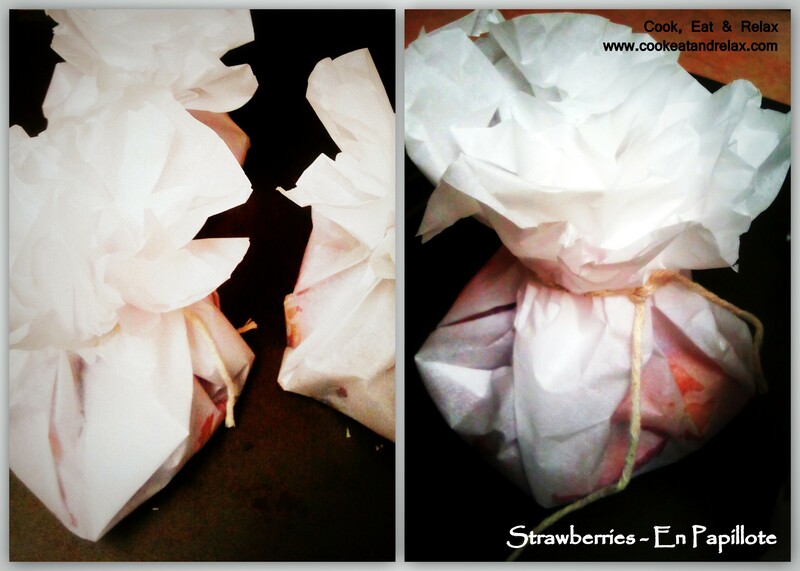 So I decided to try making a dessert with some strawberries using the En Papillote method. So here goes the recipe. Mix the ingredients together and place it in the parchment paper as shown in the picture above. 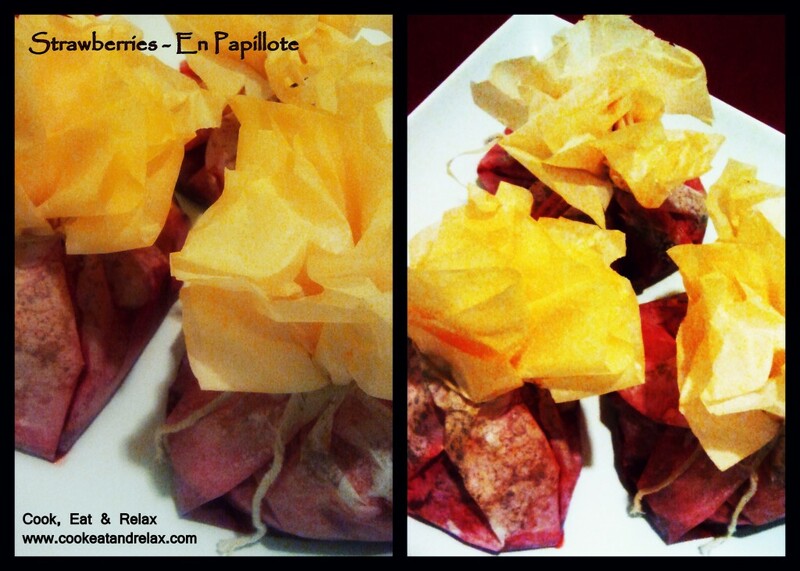 Tie the parchment into a pouch. Meanwhile preheat the oven to about 400F and place the pouches in the oven for about 20-25 mins. 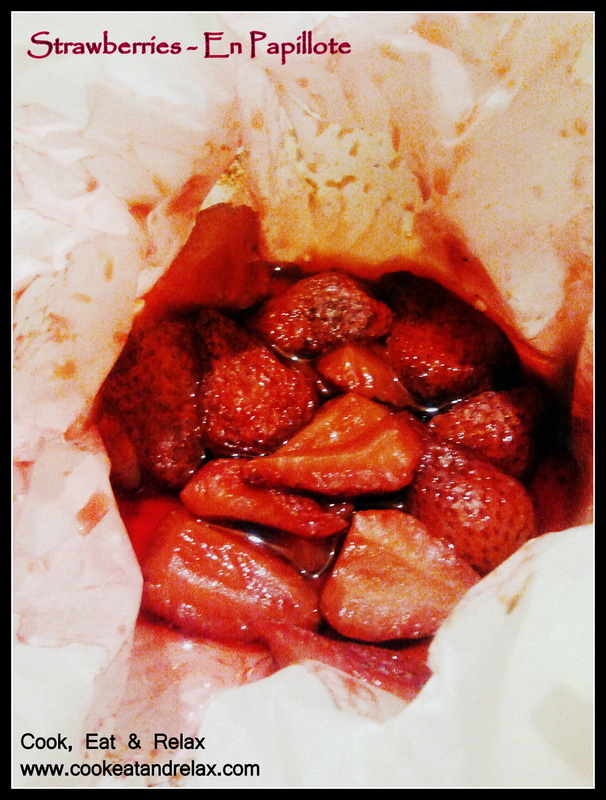 The picture above shows that the strawberry pouches soon after it is taken out of the oven. Serve it with some ice cream, sour cream or whipped cream depending on your preference. 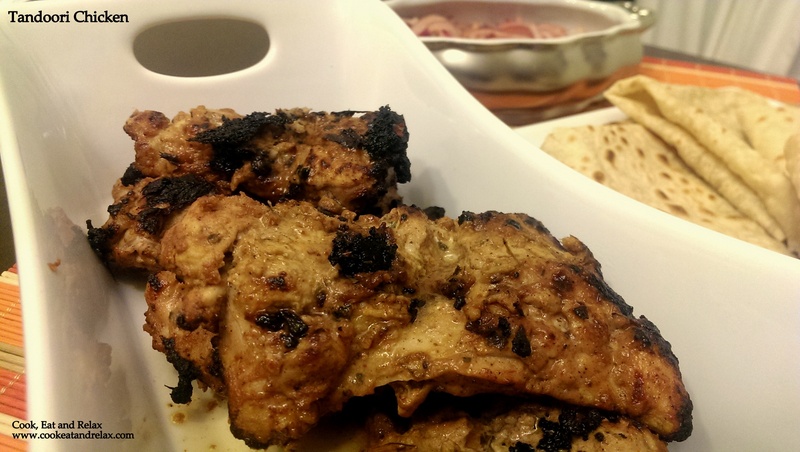 Thanks for reading my blog and hope you enjoy this recipe as much as I did. And you can try the recipe with vegetables, seafood or chicken, basically any ingredient which cooks quickly. And this update to my recipes is thanks to my friend and e-baking partner Sheela who recommended that I put in a calorie counter for my recipes. And thanks to my husband who has taken up exercising and eating healthy, I discovered a website that helps me do just that. 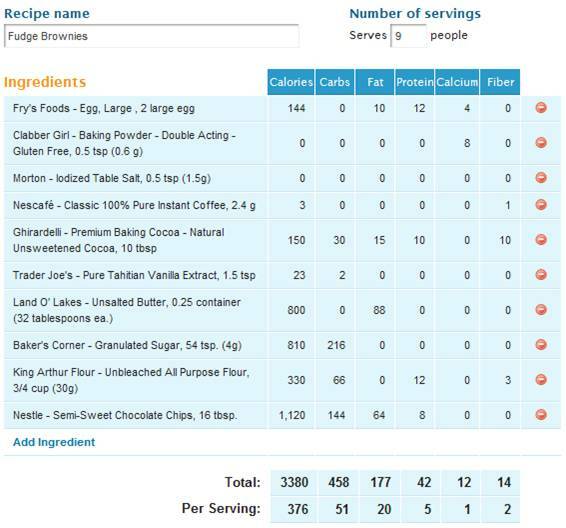 These calorie counts are approximate and are not exact. This just gives me an approximate calorie count. 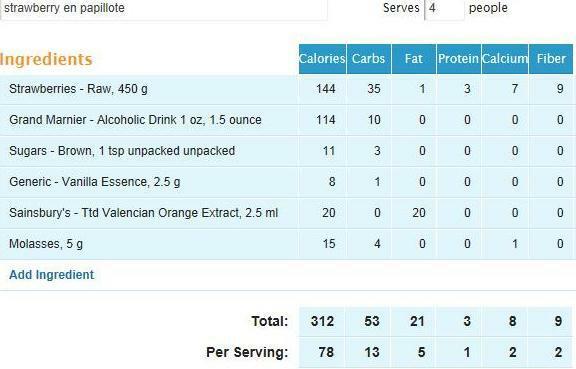 Hope this helps all those who are worried about their calorie intake!